If Bryan Singer were an X-Man, his codename would be “DIAL-BACK” – born with the amazing power to lower expectations at superhuman levels. 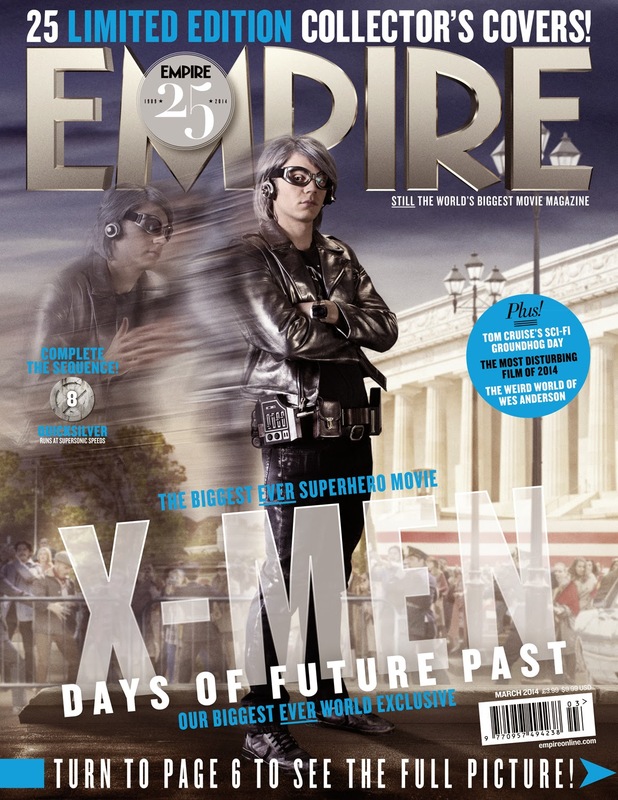 EMPIRE has been doing a goofy day-long promo where they’re revealing 25 “character reveal” covers for “X-MEN: DAYS OF FUTURE PAST” once an hour. They look… universally terrible, thus far (we’re up to 14 as of this writing); save for the obvious caveats of Jennifer Lawrence hitting my fairly specific fetish for women in bodypaint looking like they’d rather be anywhere else and also who isn’t happy to see Patrick Stewart? Thus far, the only “important” reveal has been QUICKSILVER, looking (to your right) like either the mascot for a line of off-brand Sega controllers from a mid-90s GamePro ad or the leader of the Burger King Kids Club. Originally, Quicksilver’s role was said to be minor – possibly only one or two scenes (that may be par for the course – despite appearing in the first trailer, Anna Paquin’s Rogue has since been cut entirely by the removal of a single scene) – but gossip swirls that his screentime has been beefed up to try and make the character’s role in “AVENGERS: AOU” problematic for Marvel Studios. And yes, by all accounts the relationship between Disney and Fox really is that childish.